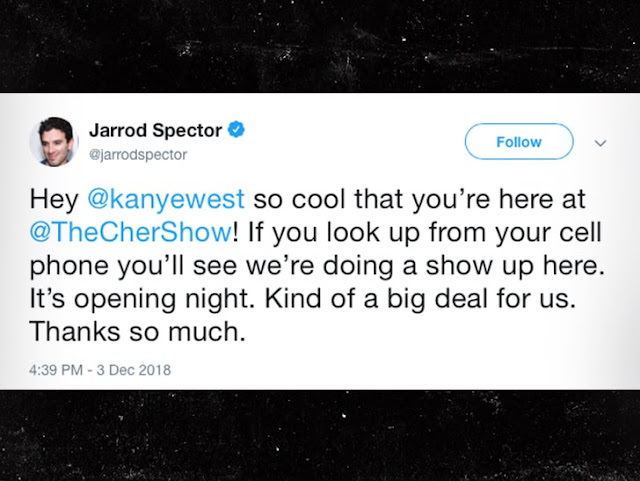 "The Cher Show" is currently in the middle of its opening night ... and tons of celebs including Kim, Kanye and Cher herself are in attendance. 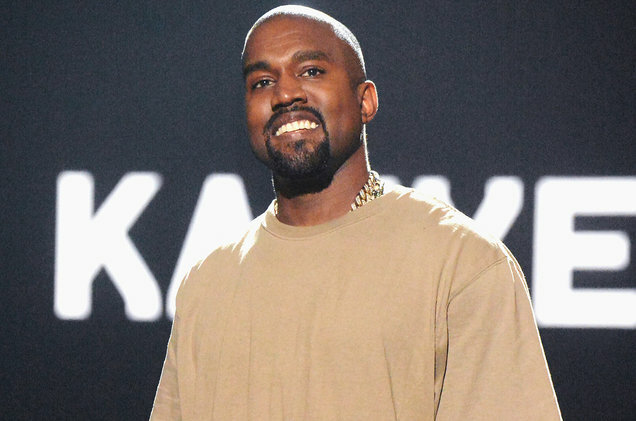 However, cast member Jarrod Spector -- who plays Sonny in the show -- wasn't too pleased with Kanye's audience etiquette. 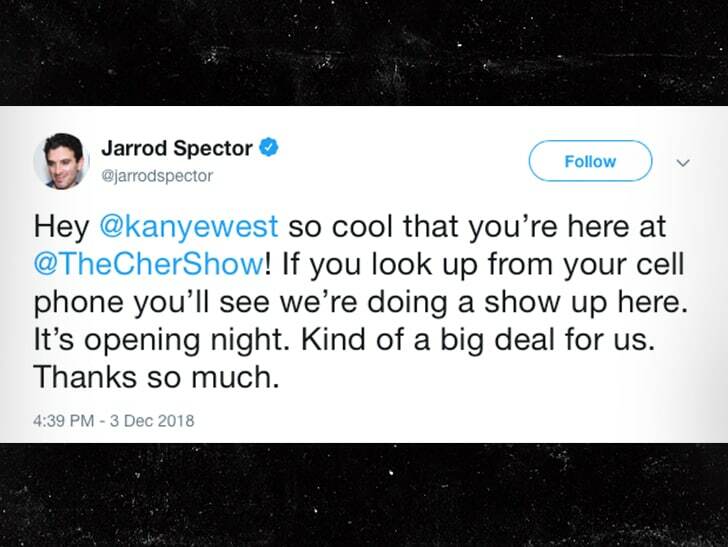 Spector just tweeted, "Hey @kanyewest so cool that you're here! If you look up from your cell phone you'll see we're doing a show up here. It's opening night. Kind of a big deal for us. Thanks so much."